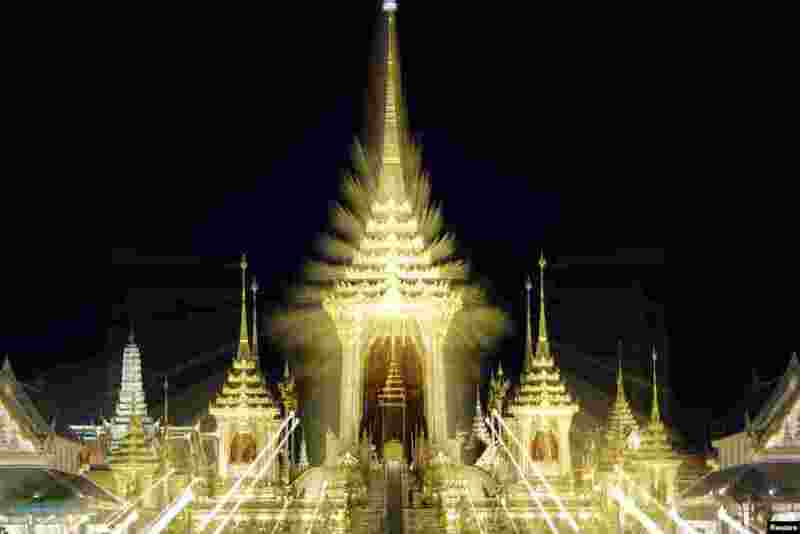 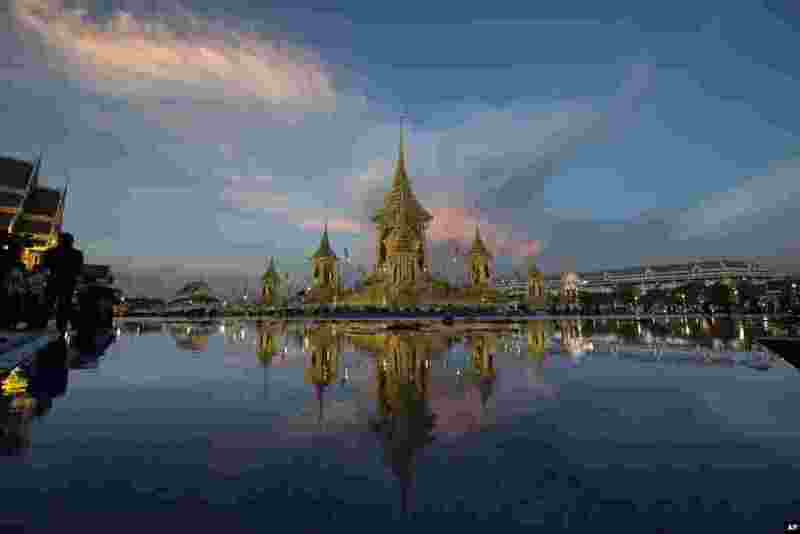 1 The Royal Crematorium site for the late King Bhumibol Adulyadej is seen near the Grand Palace in Bangkok, Thailand October 20, 2017. 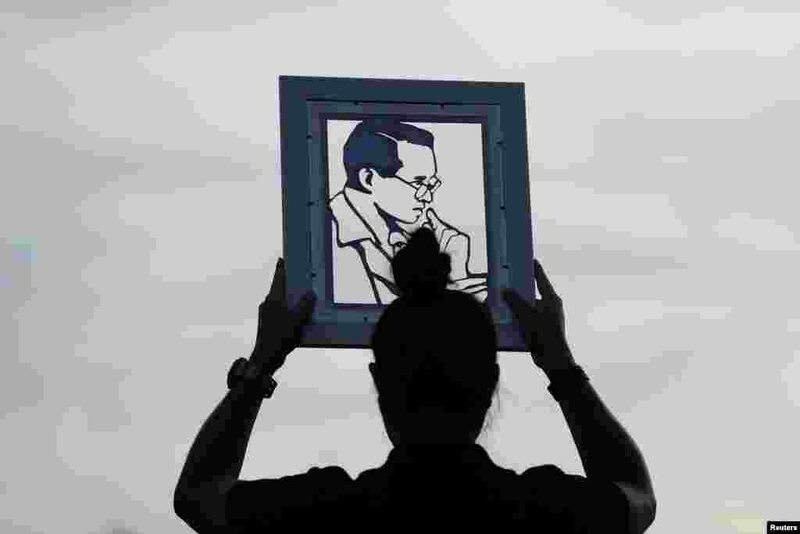 4 A woman holds the portrait of Thailand's late King Bhumibol Adulyadej near the Grand Palace in Bangkok, Thailand, October 25, 2017. 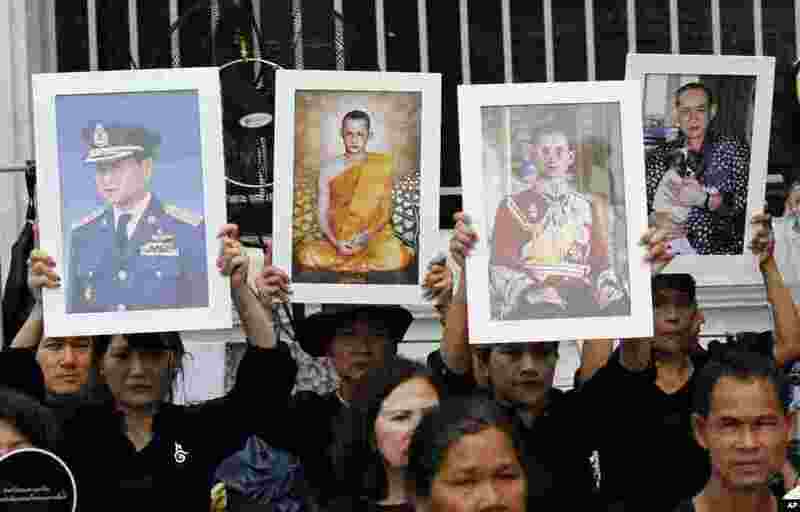 5 Thai mourners hold up portraits of the late King Bhumibol Adulyadej near Grand Palace to take part in the Royal Cremation ceremony in Bangkok, Thailand, Wednesday, Oct. 25, 2017.